Work injury compensation for cleaners. That's our specialty. Whether you’re an employee, small business owner or contractor, if you’ve been injured on the job as a cleaner or in building maintenance, we’ll help you get the maximum compensation payments available to you. Our specialist work accident injury lawyers ask more questions and get to know you personally, so you’ll get more compensation. I’ve been injured on the job. What should I do? As a cleaner or building maintenance worker you might be faced with many situations that can put you at risk of injury. Lifting heavy equipment and containers, working with chemicals and around slippery surfaces can all result in workplace injuries. If you’ve been injured at work, you’re certainly not alone – we’ve helped hundreds of cleaners claim compensation for their work injuries. Injuries can be the result of accidents or they can start as something minor and get worse over time. If you’re employed by a company or cleaning business it’s important to tell your employer about your injury right away so that a compensation claim can be lodged for you. 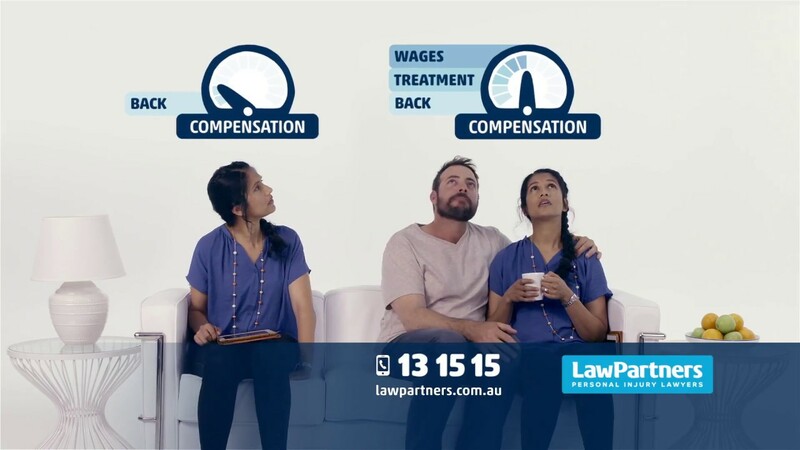 If you’re unsure about what to do, or whether your employer has lodged a claim for your full entitlements, you can call Law Partners and get advice from one of our specialist workers compensation lawyers – it’s a free call. What do I do if I’m a sub-contractor? If you’re a cleaner working as a sub-contractor and you’ve been injured at work, you can make a claim as long as you can show that you were working under the care and control of a “deemed employer”. If you’re not sure how to do this we can help you. Even if you’ve been paid in cash, you may still be eligible to make a workers compensation claim. If you have your own cleaning business and you’re set up as a sole trader with an ABN number, then you might need to make your claim under your own workers compensation insurance policy. If you don’t know if you have a valid workers compensation claim, our specialist workers compensation solicitors can answer your question over the phone, at no cost to you. We have solicitors and legal teams who specialise in workers compensation claims. What compensation benefits could I be entitled to? Income loss – Weekly payments to cover lost income as a result of your inability to work. Medical expenses – Payment of reasonable / necessary treatment expenses. Travel expenses – Payment of reasonable and necessary travel expenses. Domestic assistance – The cost of home help while you’re injured. Permanent impairment – A lump sum payment to compensate you for a permanent injury. Pain and suffering – A lump sum payment to compensate you for your pain and suffering. Can I get education or training assistance? If you need to upgrade your skills in order to return to work, education or training assistance is available to help improve your readiness for work with the same employer or a new employer. You may be able to claim for expenses such as course fees, text books and travel.